Getting Audited by CRA is no laughing matter. If handled improperly, you could find yourself in a lot of trouble. Criminal charges, Reassessments, CRA collections, and bankruptcy happens to those who don’t understand the seriousness of getting things fixed now. 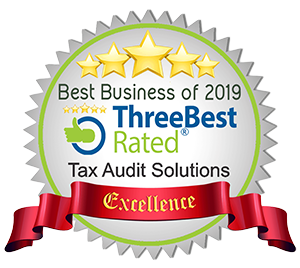 It does not matter what your problem is; Tax Audit Solutions is the absolute best value proposition on the market when it comes to handling tax problems. It does not matter what your problem is because we have seen and handled them all. We can get you out of the Tax Tempest and back on track with your life. In most cases can do so without any serious penalties or criminal prosecution. Having said that we can help you, the sooner we get started the less it will cost you and the less trouble you will have. There are strict deadlines for certain actions against the agency. Don’t wait until it is too late. Don’t even think about trying to handle your tax problem on your own. CRA (A.K.A. Canada Revenue Agency) is not your friend. You cannot trust them, especially what they say on the phone. They will set you up and bowl you down. You won’t even see the ball coming until it is too late. The job of the CRA is to get as much taxes, penalties and interest from you as they possibly can. They are trained professional economic hit men when it comes to collecting your money and if you don’t get good help, you will be road kill. CRA likes to achieve compliance by fear, so as a way to accomplish this objective CRA as a regular routine, files criminal charges against everyday people, just for not filing their tax returns. CRA’s aggressive collection tactics push thousands of people into bankruptcy. CRA charges penalties and interest on tax debts which often triples in approximately three years. The agency can seize assets, garnishee wages, put liens on homes, contact your clients, your family, your tenants, your boss and they regularly freeze bank accounts. In order to fight CRA, you need professionals in your corner. You need someone who has been in the arena and has won their medals of valor. Fighting CRA requires some who is not worried what can happen to them personally if they irk the Dark Forces. Aside from a professional representative in your corner, you need an accounting expert who is familiar with tax law and who clearly knows how to put your records together in a way to avoid having expenses disallowed, and so that they don’t trigger new questions from CRA and possibly an even greater debt problem than you already have. Surviving an attack by the tax man is more about accounting, the rules and the game, rather than about the law. But knowing tax law is important too. The tax law while very complicated is not usually a big deal when dealing with CRA, the big deal is knowing how to construct records in such a way that the law protects the legitimate business deductions and that money that should not be taxable, does not become a sudden tax surprise. Normally a tax problems narrows down to a few issues and how good the documentation is to support the taxpayer’s position. That is where Tax Audit Solutions is King of the Industry. No one does their job the way we do. We are very proud of how we create rock solid records with the right business statements and the right audit trails. CRA cannot rail road us. 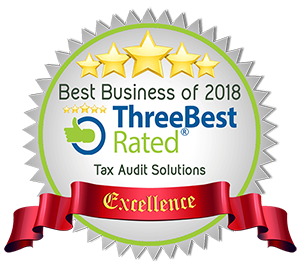 Regardless of what type of tax problem you have, and we do handle them all, we will package arguments, your books and your records in a rock solid audit ready format. While we are getting your books and records in proper shape, we will push CRA back into their corner. We don’t let them bully us into giving them an opening to disallow genuine expenses. We ensure your Taxpayer rights and your Charter rights are respected. You are under a tax attack and you need to understand that you are just one of thousands of Canadians every year who are under a financial siege from CRA. There are solutions to stop the tax trouble turmoil, but most accountants and lawyers are hesitant to rigorously defend you and have reasons to avoid a war on themselves by the tax man. Even lawyers fear being audited. When lawyers get audited they come to companies like Tax Audit Solutions. A CRA attack is often more than a family can handle and hiring help is usually difficult for someone who cannot even pay their existing tax burden, let alone three time the original tax debt. Often, the worst problem is tax arrears, penalties and interest which often is more than the original debt. I do know and understand how it feels to be under an assault by a government agency. I get emergency CRA calls from citizens across Canada, people in tears, people terrorized, unable to sleep at night, depressed to the point of their life being in tatters. We help them all. If your issue is; “I am being audited” then it is time to get prepared for CRA Tax Audit disaster control. This will avoid needing to deal with CRA aggressive collections. Experiencing an aggressive audit is a case of being in serious trouble before it is determined whether you have done anything wrong or not. Allegations and CRA Assessments alone can ruin a business and its owner. You can understand why people feel helpless when they don’t even know where to turn for help. Canadians need to know where and who to turn to in times of trouble. This is no small issue. This is an assault on Canadian citizens who are already in trouble and unable to defend themselves. If they are lucky, they can pay our fees. We guarantee that we will save you more money in taxes than what our fees are.